We see the process of change all around us being mirrored in the seasons throughout the year. Springtime heralds the onset of rebirth and new beginnings. The daffodils, tulips, and crocuses pop open in a burst of fresh color to dot the landscape. 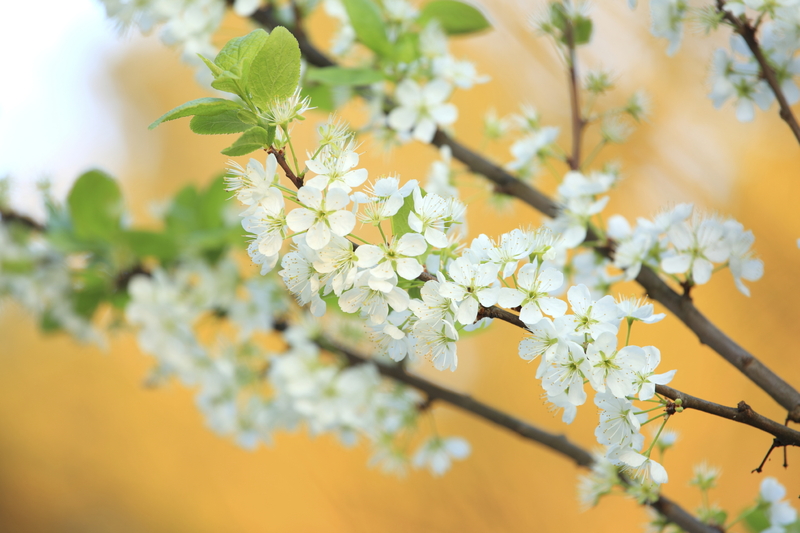 The dogwood and cherry trees adorn themselves as if preparing for a wedding ceremony in delicate pink and white blossoms while April showers pour out kisses of dewdrops upon every tender petal. A sweet scent fills the air and our spirits are given a measure of hope as we see this new life emerge in stark contrast to the bitter cold and darkness of winter. Following this fresh burst of growth, summer arrives on cue to represent the fullness of life; the crowning glory of the year in all its plenty. Life is caught up in the momentum of production and energy, bursting towards full maturity. Then a subtle change begins to occur as we see this explosion of life begin to wane. It has expended all of its energy and longs to settle into a time of rest and renewal in order to burgeon with new life in due season once again. As the exuberance of summer draws to a close, the calming presence of autumn begins to settle in. It is beautiful to behold as we see the splendor of color painting the landscape; a living canvas of beauty reflecting the artistic hand of its Creator. As if by magic, we watch as the leaves on the trees change into a kaleidoscope of color before our eyes; one last glorious display to bid the world farewell. They have served their purpose and know that it is time to let go. One by one, we watch as a gentle wind comes along like the breath of God to detach it effortlessly from the limb of its temporary home. Guided along in invisible arms, it is gently laid to rest upon the ground. In return, the earth receives it with a kiss of greeting and a welcome home. To the casual observer, what remains is a barren tree, stripped of its clothing and beauty, naked to the world and exposed to the harsh elements of the environment. Life appears to be swallowed up in death. Winter has arrived and a period of darkness descends and looms over all as the bitter sting of cold sets in. Yet we know that this is not the end. It is not a permanent state but a temporary dormancy period where many things are happening, although unseen to the naked eye. This is simply just another part of the process; a necessary phase of change. And like the year before, new hope will be rekindled and spring will usher in a time of new birth, growth, and new beginnings for us once again. How magnificent and fragile this life is! And so it is with each one of our lives. Like spring, our birth propels us dramatically onto the scene and we awaken and draw in our first breath of life in an unknown world. We arrive naked, helpless, and dependent upon those who have entered before us to act as our guides and teachers for a time until we are ready to explore it on our own. We learn to live and walk among one another. We partake of the same breath of life and dwell under the same sky. We are warmed by the heat of the same sun and share in the miraculous cycle of life in a continuous movement towards the inevitable death of our bodies. Only to emerge again as if born into something new, yet still part of what continues to exist. It would seem the essence of our existence is left behind as a memory to those who remain; both a tangible and intangible legacy for all who have yet to make the same journey. Let the seasons in life help you accept the process of change as a natural part of the journey. Whether you find yourselves in the springtime of new hope and beginnings, or still traveling through the darkness of winter, hold on to the here and now. Embrace the season knowing that change is inevitable and we can either flow with it or resist it, but it continues on with or without us taking a proactive part in it. Yet, be patient and loving to yourself when in the midst of the winter. Springtime will come again when we are ready. 1. What season do you consider yourself to be in right now? 2. What endings have recently taken place in your life and what impact has it had on you? Did this ending result in a noticeable loss? Did it require a period of grieving? If so, where are you at in the grief cycle? 3. During a period of quiet reflection, invite your heart and soul to bring to your awareness anything in your life you will need to consciously end or stop doing before new growth can take place. What comes up for you? 4. If you are needing to end something, how does that make you feel? Are you prepared to do what you need to do? Or are you frightened of taking action? 5. What is currently going well in your life and could represent the season of summer? This could be an area of strength; either permanently or temporarily. 6. How well do you manage the various seasons and cycles in your life? Do you expect most things to be in full swing as if it is summer all of the time? Or do you recognize that ‘there is a time for everything under the sun’? Including a season and cycle for sowing, growing, and harvesting? 7. If the idea of cycles and seasons for different phases of your life is new to you, how does this insight help you accept the natural fluctuations in various parts of you and your own life? 8. What new possibilities are springing up inside you and around you right now? It may only be a glowing ember rather then a burning flame right now, yet make a note of what is stirring within you. What and who sparks you interest? What is capturing your attention? What desires are stirring within your soul begging to be heard? What dream or vision is begging to be manifested? 9. What have you learned during some of your transitions between your last ending and new beginning? What are the most significant things you’ve learned from past seasons and cycles? 10. If you’ve lost a loved one at some point in your life, do you have closure? Have you been able to properly mourn that loss with full acknowledgement of your pain? Has it been validated? What do you still need to accept and then let go of? What is still lingering that needs to be layed to rest? Are you at a place where you can celebrate the life and memories shared together? No part of this post can be reproduced without permission. © 2006-2014 All rights reserved. Beautiful, thoughtful writing Samantha. Gave me pause to reflect. Thank you. Thanks for sharing Scott. Always appreciate you taking the time to stop in and share when I post. 🙂 I’m happy you enjoyed it. So are you saying that there is something coming to an end that you are trying to prevent from ending? You are an encourager Tom. I’ve seen you help water the good seeds in others so I can see that is very much a part of your purpose and gift. Thanks again for sharing Tom. Just getting older and refocusing my purpose on the growth of others. THANK YOU for such creatively layed down words…. Hi Khalid! Thank you so much! I’m honored you took the time to read and comment and appreciate you letting me know that what I wrote was meaningful to your own healing journey. Healing…that’s what it’s all about and that’s why I write and share what I do with the world. Much gratitude for your feedback. First of all, this is beautiful. I could feel the energy of each of the seasons as I was reading. What has been really confusing to me over the past two years is my “season confusion.” It’s currently the fall here rapidly approaching the winter but for close to 40 years May into June was spring into summer. Transition is a constant and comfort is transitory. The real key (and challenge) is to find comfort through the transition. Happy belated Mother’s Day Alli! Sounds like it has been a very worthwhile experience that is strengthening those imaginative muscles by being able to remember and draw on them when what you ‘see’ on the outside doesn’t align with what you know to be true somewhere else. Yes, finding comfort through the transition IS the challenge. Always appreciate your comments on my posts. Thanks for stopping by Alli! Echoing what everyone is saying about your post. Plus, I found your post strongly heart-touching! You may enjoy Parker J Palmer’s “Seasons”. You both have so exquisitely detailed the mood of each season. Thank you for taking the time to read and comment Jackie. I appreciate it! I haven’t heard of Parker J Palmer before. I will definitely check it out.